Mapping Nigerian-Norwegian Relations through the ages and there is a lot of information on the interwebs with some digging. I’ve put it all together in a timeline because specific events were time-bound and mapped key events. This is one of my favourite research pieces because it connects so much – from the state of nations – both Nigeria and Norway, inter dependencies, how certain ingredients become mainstream and much more. Anyway, here’s what I discovered. 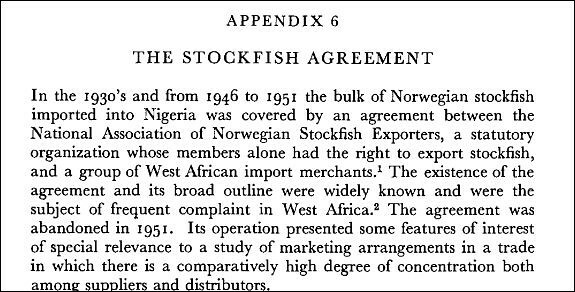 In the early 1900s, there were associations which governed trade and managed relations between Nigeria and Norway. This was abandoned years later. In the ’80s, as part of austerity/ trade policy measures by General Ibrahim Babangida, the then Nigerian head of state, stockfish imports were banned. The ban led to many cases of middle men trying to bring stockfish into Nigeria, anywhere but from Norway, like the case of James “Danger” Beirne. You have to read the rest of the incredulous story here! 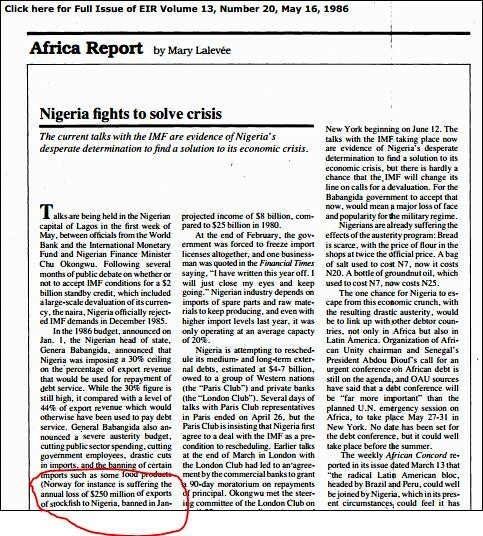 So yes, this is a short summary of key milestones in Nigerian – Nordic Relations. Eight (8) Things I Learnt About Stockfish. Did you Know?